Buy Processional manufacture animal Pork Bone Crusher/Bone Crushing Machine/Sheep Bone Crusher - Shandong Leader Machinery Co.,ltd. 1. 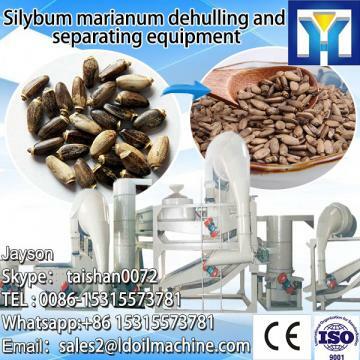 The machine is made of stainless steel material or common material for your selection. 2. The knife cutter adopts super alloy steel through special heat treatment with good durability and strength. The knife can be used for many times after sharpening. 3. The motor is equipped with overload safety device. 4. The machine can work with a conveyor to save labor. 6. The crushed bone is applicable for sausage, ham, meatball, instant food, bone powder, bone soup, extruding food, pet food etc. If you are interested in our bone crusher machine, or our other kinds of food process machinery,please feel free to contact with us. Our company has engaged in producing and exporting Processional manufacture animal Pork Bone Crusher/Bone Crushing Machine/Sheep Bone Crusher for many years, and until now, our machine has exported to overseas market, such as Brazil, India, Indonesia, Russia, Thailand and so on, and get the foreign customers' unanimous praise. We believe that you purchase Shandong Leader Machinery Co.,ltd. Processional manufacture animal Pork Bone Crusher/Bone Crushing Machine/Sheep Bone Crusher is your best and sensible choice.